Funimation will stream Monster Hunter Stories Ride On! The first Anime adaptation of this Video Game will come this October! 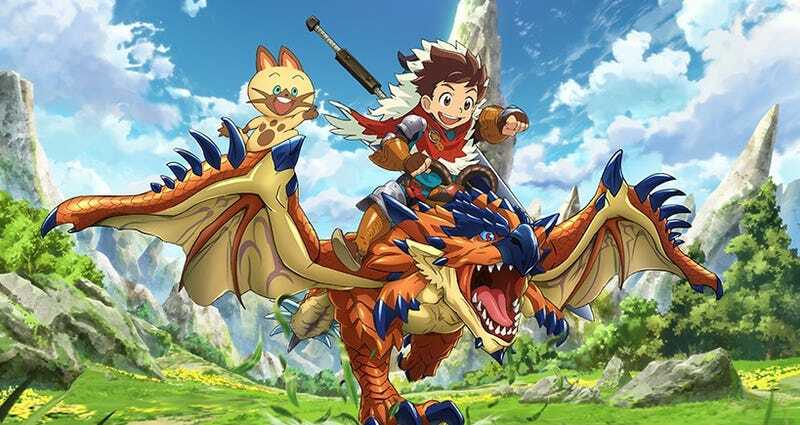 Funimation has revealed that they ahve acquired the rights for the upcoming Childs Anime, Monster Hunter Stories Ride On, which will come this October. The Anime centers in the world of Monster Hunter, a world were the Mankind has to live with giant and violent creatures, Monsters, these Monsters, when they come close to the cities could detroy it, for that a group of people are in charge of dealing with them: The Hunters. These Hunters are the ones who kept these destroying forces of nature at bay and that it´s how it has been for some time...Still, in a little village, there it is the thinking that both Mankind and the Monsters could live together, because of that a group of people are in charge to search for Monsters and befriend them...The Raiders. The Game will come alongside the Anime this October in Japan, exclusively for the Nintendo 3DS, also the Amiibo Series will have figures from this game.